Trim excess fat off the pork, and cut into large chucks. Add 2 TBS of Citrus Cuban Seasoning along with all other ingredients into a large slow cooker and mix together. Cook on low for 8 – 10 hours or high for 4 – 5 hours, until meat easily shreds with fork. Let pork cool completely. Shred into 1-2 inch long pieces approximately 1/2 inch thick. Season with additional 1 TBS of Citrus Cuban Seasoning. In a saute pan, heat oil to medium heat. Add pineapple, and stir frequently until 80% of exposed surface of pineapple is rich golden brown and caramelized. Rough chop pineapple and put into mixing bowl. 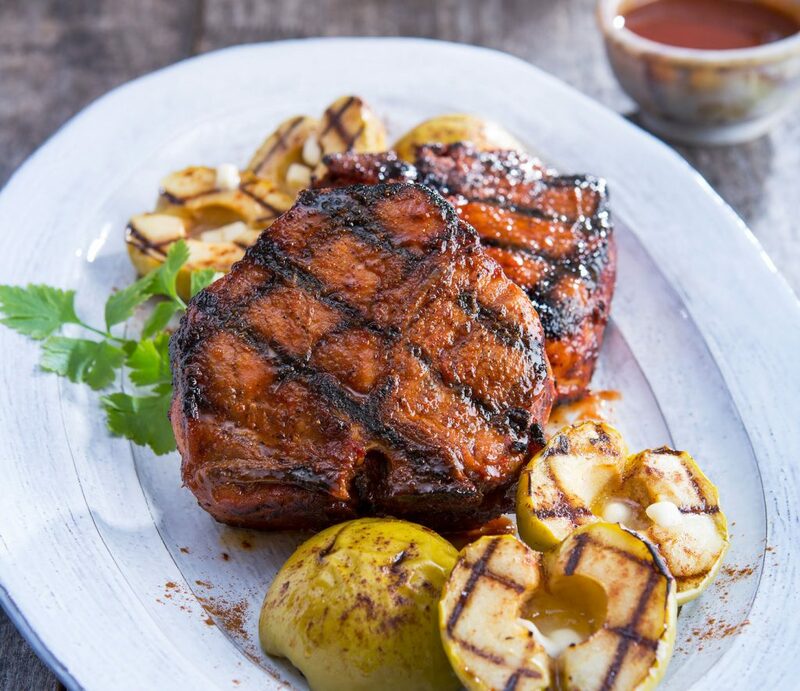 Add 2 TBL of your favorite salsa, and Citrus Cuban Seasoning to the caramelized pineapple and toss to thoroughly combine. Heat flour tortilla according to manufacturer’s directions. 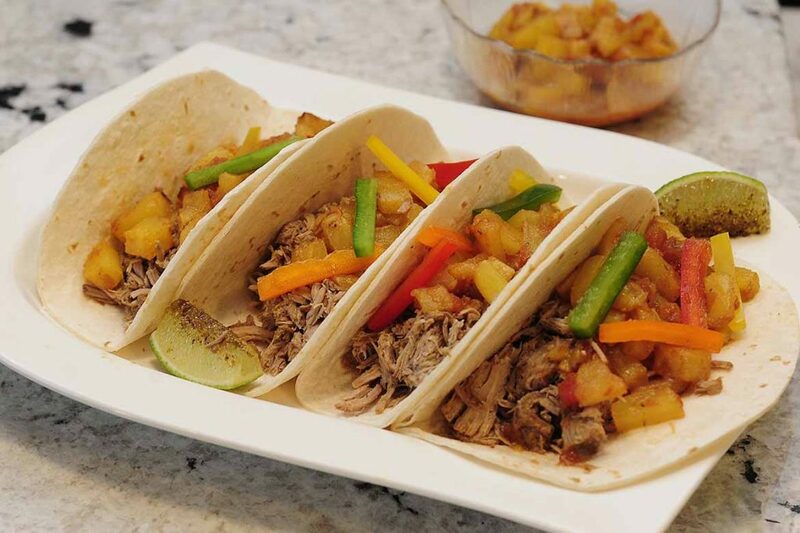 Top tortilla with mojo pork and a spoonful of caramelized pineapple salsa.